A Delta mile does not equal an Alaska Airlines mile. The former has a more expensive award chart, imposes fuel surcharges in more situations, and has access to less Saver award space. All miles are worth different amounts. I am not including transferable points. For reference, I value Starpoints at 2.5 cents, Ultimate Rewards and Membership Rewards at 2 cents, and ThankYou Points at 1.9 cents. The value of a mile depends on how many of that mile you have. Your 100,000,000th American Airlines mile is worth nothing because you can’t redeem that many. For all my valuations, I’m valuing the miles assuming you have a balance of around 50,000 to 200,000, which is a few awards worth. The value of your miles tends to go up the more types of miles you have. If you only have British Airways Avios and want to travel all over the world, you’ll probably average 1 cent of value per Avios or less. But if you have Avios and several other types of miles, so that you can use your Avios only on high value Avios awards, you can squeeze a lot more value out of them. I am assuming you are like me and have lots of types of miles. The value of a mile depends on the trips you like to take. My favorite places to start and end trips, Hawaii and South America, happen to be fuel-surcharge free. That means I value miles that normally collect fuel surcharges–but don’t collect them on trips to Hawaii and South America–very highly. If you only want to go to Asia, Europe, Africa, and Australia, these miles will be much less valuable. High Value Awards: Getting 2.3 cents per point toward Virgin America cash fares. Los Angeles to Australia in flat beds on Virgin Australia for 80k Virgin America points roundtrip with no fuel surcharges. 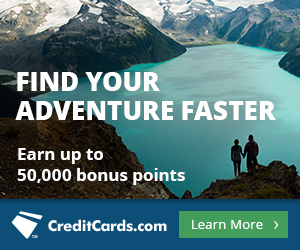 Get the Miles: Virgin America credit cards with tiny sign up bonuses, but 1 point per dollar on spending. SPG Starpoints transfer 1:1 to Virgin America points with a 5,000 point bonus for every 20,000 transferred. Membership Rewards and ThankYou Points transfer 2:1 to Virgin America points though both run transfer bonuses. You can use the points toward any Virgin America flight with no blackouts. You will get 1.5 to 2.3 cents per point of value. The number of points needed is determined by the equivalent cash ticket’s price. All the award prices are deflated compared to other American programs. Oddly, one way awards are usually about 60% of the roundtrip price, not 50% like we like or 100% like we hate. To some regions, Asiana’s award chart is so under-priced that some awards are a good deal even after fuel surcharges. Plus, as mentioned above, I love flying to South America, and no Star Alliance flights to South America have fuel surcharges, meaning I get the insanely good award chart without having to pay much cash out of pocket. If only Asiana miles were easier to get. Get the Miles: Transfer partner of UR, MR, TY, and SPG. 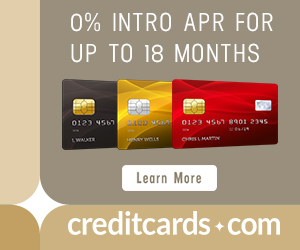 Right now the Citi Prestige® Card and Citi ThankYou® Premier Card offer 50,000 and 40,000 bonus ThankYou Points respectively after $3,000 in spending that can be transferred to Singapore miles. I probably value Singapore miles more than you. My travel preferences are heavily South America and Hawaii based. These miles are awesome for flying Flat Bed First Class to Hawaii and Business Class from Colombia to Argentina. Watch out for fuel surcharges on most awards, but not within the Americas or on United flights. Get the Miles: Churnable personal and business cards. Transfer partner of SPG. Decent mileage sales around 2 cents each. Alaska has a diverse and interesting set of partners. I do wish you could combine partners on one way awards though, and I wish you could book all Emirates flights. Currently you can only book Emirates awards from the United States to Asia, Africa, and Europe and vice versa. Get the Miles: British Airways Visa. Transfer partner of Ultimate Rewards, Membership Rewards, and SPG. I value Avios highly because I use them a lot from Hawaii to Los Angeles and sometimes for hopping around on the East Coast, in South America, in Africa, and in Australia. You might value them even more highly if you live at an American Airlines hub like Dallas or Miami. You probably value Avios very little if the only trips you ever take are from your small home airport to Europe in Business Class. Iberia and British Airways Avios are very similar but have slightly different award prices. Iberia Avios are slightly more valuable because they can book Iberia flights with lower fuel surcharges and because they offer a lower miles price on Business Class from the United States to Europe. You can freely transfer the two types of Avios if both accounts have been open for a few months. United and Copa used to both use the MileagePlus program jointly. Copa broke free this year to create the Connect Miles program, but its chart is basically identical to United’s, so I value the miles equally. If only there were an easy way to get Copa miles. I’m as bummed as anyone that the vast majority of United partner awards in First and Business Class are terrible values (though not this one), but there are enough good deals in United economy and United Business Class to keep me interested. Plus the Star Alliance has great availability to every continent in economy and good availability in Business Class to most continents, which is a huge plus for United miles. You can book a roundtrip from anywhere in the United States to Hawaii on Delta flights for 25,000 Korean miles. First Class is only 45,000 miles roundtrip. That makes my 1.6 cents per mile valuation look way too low, but I’ll stick to it because Delta doesn’t release enough award space to Hawaii to make this a consistent award–instead you’ll need to be very flexible. I also love Korean First Class awards, which are widely available from the United States to Northern Asia for 80,000 miles and mild fuel surcharges each way. Get the Miles: Buy them during frequent sales for 1.4 to 1.65 cents each. Like United and Copa miles, Avianca has a Star Alliance program with a mostly fair award chart and no fuel surcharges. I bumped up the value of LifeMiles in January 2016, since LifeMiles began to allow mixed-cabin awards like every other airline allows. I often need to book an award that has one segment in Business and another in economy or one in First Class and one in Business Class, so this was an important change for me. Even after the March, 2016 devaluation, American Airlines miles still have plenty of solid uses, plus they are very easy to get from a variety of sources. While I don’t love award availability to Africa or Europe, I find acceptable space to Asia, Australia, the Middle East/India, and throughout the Americas. Plus there are no fuel surcharges on American Airlines awards unless you fly British Airways or Iberia. The reason SkyMiles are worth so much less than American and United miles is an expensive chart, the worst award space of any American airline, and the fact that Delta collects fuel surcharges on more partners than United, Delta, and Alaska combined. Delta even charges fuel surcharges on all awards that originate in Europe, including one way awards back to the United States. Basically there are a lot of times when Delta miles are nearly useless, so if you find a time when a Delta award costs nearly the same number of miles as an American, Alaska, or United award, burn those Delta miles. What’s too high? What’s too low? What’s missing from the list? Agreed. IMO, this kind of valuation was the whole premise of your site when it first launched. Can we sign up for the Citi Exec if we had the card a year ago? No, 18 months from cancellation. I see American miles ranked very highly by many bloggers and, in theory, the award chart is very good. However, in practice, American releases much less award space than United that it makes the miles very difficult to use; especially if you want to go to Europe (well, there’s lots of availability on BA if you don’t mind spending $500 for your “award” ticket). If your goal is to go to Europe, United or Alaska (or any Start Alliance member) miles are much more valuable than American. Yes, my goal isn’t to go to Europe with American Airlines miles. That’s my goal with other types of miles. My goal with AA miles is South America, Asia, and Middle East. So, what about LH MM? High value in F LH, for example GRU-FRA-TYO 145K MM + 50 EUR,and more routes with low YQ when you check it, book in advance. That sounds ridiculously expensive to me. There are good uses for Lufthansa miles, but they fall outside my top ten. Maybe around 1.4 or 1.5 cents each. Scott, I really got some great value by redeeming Lufthansa miles (that my wife and I both acquired via their 50,000 point credit card sign up bonus) to fly United p.s. service to SFO in October for only 17,000 one way. For sure, one of the best ways to travel trans-continental. That being said, you are probably spot on regarding the 1.5 cent valuation. For sure there are higher valuation redemptions with each type of miles. That is one of the best. Hope you enjoyed it! Scott, you say “You can book a roundtrip from anywhere in the United States to Hawaii on Delta flights for 25,000 Korean miles”. How do you check availability from DEN? The Korean Air site only shows award booking from about 12 US airports, and DEN is not one of them. Not sure checking Delta would show what flights would be eligible to use with Korean Air. A basic principle of miles is that you can search ANYWHERE that displays an airline’s award space and ALL partners will have EQUAL ACCESS to the Saver award space. So search delta.com, and look for 22,500 miles economy space and 40,000 or 50,000 First Class space. That’s the Saver space. Gotcha – wasn’t quite sure since Delta has no published award chart. So would you then need to call Korean to book, feeding them the Delta saver flight #’s? Regarding Asiana miles, yes their is an option to accrue the miles other than from SPG transfers. Bank of America offers Asiana credit card which for some reason does not get mentioned in the blogs very often. A tiny sign up bonus that’s not worth the credit pull and the fact that spending on the SPG card earns Asiana miles faster than spending on the Asiana card. If the Asiana card’s bonus went to 35k, I’d get it and write about it. Maybe even 30k. doesn’t Virgin America impose hefty surcharges on Virgin Australia awards? You left out the importance of free one-ways. Alaska is king for that. Yes, they are very good for that. Scott, I know you’ve said you apply for the Alaska BofA card every 91 days. Logistically how do you do that? Apply Day 1; Cancel Day 90; Apply again Day 91? Or something different…? You don’t have to cancel on day 90. You can have multiple cards at once. Just cancel 11 months in. These valuations are interesting but if I understand some of your posts correctly, these aren’t necessarily prices at which you would purchase these miles speculatively with no upcoming planned travel/specific use for them, correct? If so, it would be interesting to understand your thoughts on lower bound where you would be a buyer even without a planned use. I went nuts buying US Airways miles for 1.1 cents when that was offered a few years back when I valued them at around 2 cents each, so maybe at about 60% of the price or lower. Another really useful post. Thanks. I do wonder about how you avoid YQ on flights from all of South America and Hawaii? I thought it was only Brazil and the Philippines that outlawed fuel surcharges. Between the US and South America, there are no airlines that impose fuel surcharges. Yes I would have to pay them from Europe to South America, but I have never flown that. I know that Delta has traditionally been the whipping boy of my pretty much everyone, but of late, I have not seen evidence of their award availability being any worse than American. In fact, many of my recent searches have shown nothing available on American and significant availability on Delta. It seems to me that either they have started offering more space or they have scared so many people away that the space they were offering is being left available for lack of demand. In the meantime, I have watched huge swaths of American availability disappear over the few months. Seats that were available on multiple flights on the same day disappearing all at once, so not booked, just withdrawn. I would not be surprised to see the value of American miles drop below those of Delta. Valid point. American’s partners remain way better than Delta’s and Delta miles cannot book First Class. For a US – South East Asia frequent flyer, ANA has the best mileage cost – about 95,000 miles round trip but ANA miles are very hard to come by. I think they are available through SPG and AmEx but they only US credit card they offer has a meager 5,000 mile bonus. Some mileage brokers advertise ANA miles for 2.1 cents which would work out to around $2100 for a roundtrip Business class ticket to Bangkok or Manila – I’m considering buying some – can you recommend a good broker? I do not recommend brokers, and you are forgetting the fuel surcharges on the awards. Even with the fuel surcharges on the award a round trip to BKK or MNL in Business Class ends up costing about $2500. At least $900 less than most business class fares. Interesting that you do not recommend brokers – I have my doubts about using them. I have a friend who has purchased miles from one without any problems but I don’t know if that is the norm or the exception. Thank you very much for your insights. Your post was looking at redemption of points for free travel. I would very much like to see someone tackle the issue of upgrades to business class and first class on international flights. Thanks again! They are almost universally a poor value. They only make sense if your company is buying a paid ticket for you. Otherwise use miles to book the ticket directly into business or first class. The sad part of this is that I have 271,000 Delta points earned the hard old fashion way of flying those miles. I sure wish there was a good way to get good value out of these. There are ways to get value out of them, just not as much as with other types of miles. A further iteration of a comment/question I had on this topic during a previous post: What does it mean that a particular mile is worth 1.8 cents to you? When you redeem them, do you expect to get 1.8 cents in value when comparing to retail cost? Probably not as I think you’d expect to get more compared to retail especially for business & first offerings where retail pricing is absurdly high. Does this mean that you would buy them if they were being sold for 1.8cents or less? Probably not also since you mentioned above that you wouldn’t buy Avianca at 1.5 cents. In short I guess my question is: what does ‘Value’ mean in this context? Thanks this is exactly what I was looking for. Can you do a post with the ten best economy award flights? And maybe the 10 best business? What does it mean to be the best economy flight? Southwest requires 70 points per $ of Wanna Get Away fares, and you miss out on the 6 you would earn from a cash ticket. That’s a net of 76 points per $, which is 1.31 cents per point of value. Southwest award tickets do cut out some of the taxes for whatever reason, so you can do a little better, but I wouldn’t value them above 1.4 cents each. I would say that the Companion Pass doesn’t affect the value of the points, but the Companion Pass itself is worth hundreds or thousands of dollars. I wish I lived in the US and had a companion! I noticed Virgin America start charging fuel on surcharge on Singapore metal. Alaska requires 200,000 miles on Emirates in first class to South Africa, not 100,000. They devalued about two months ago. You even wrote about it. I think i get better value from AA than this, though, because I love their 30k miles RT economy to Costa Rica; i often get between 2 and 2.5 c.ents per mile. And just booked some LAN biz class with AA miles for 25k each, at 4 cents per. so for my goal of travel from us to latin america its good. I bought Life Miles at a substantial discount largely based on your recommendation that I could fly Business Class to Europe for 63k. I have tried repeatedly to book both Business class and Economy class and the results have been nothing short of terrible and I wish I had never made the purchase. I have NEVER found any Business class availability despite trying all combinations of departure airports in US and arrival airports in Europe and this is on any/all of the alliance member airlines. I read a rumor that you couldn’t book Business class until 2 weeks before the flight date; is this true? If so, why didn’t you disclose this when you wrote your article? Even on Economy flights I rarely find availability and when I do the 3 flights to the destination take double the time compared to other flights with horrible layovers. Scott, you blew it on this recommendation! I had a roundtrip to and from the UK on AA metal that needed to be close to a cruise we were taking in early June. I had to look high and low but found flight from DFW to UK on AA metal in Bus. Class. I found AA metal on the return from Shannon, Ireland to PHL. Due to the recent hurricanes extending the school year for my wife, we had to cancel the DFW to UK ride. Etihad took 35 days to return my miles. I saw Brussels Airline Bus. class and AA metal disappear. I was able to book AA metal in Bus. Class from PHL to Shannon, Ireland. There were a couple of days with seats available. Just a few days ago I needed to book my son from Chicago to Savannah and could not find anything except at the highest level of points on AA and DL. A single coach seat was anywhere from $650 to $1100. There were no saver award seats on either of those. However, I was able to get him for Christmas for 10K miles each way on UA, but I have to pick him up in Charlotte. My point in this, is that if you look hard enough and are willing to make some concessions, then flights can be had. You just have to spend the time and look and use available tools. I find the Avios to be just awesome in getting me places in the US that are ridiculous in cost for coach flights. I have a companion pass with them and doubt I will use it since dumping a ton of avios for a flight I have to pay a huge fuel charge just does not make sense to me. I travel to Chicgo alot. Most flights, even booked weeks ahead, are in the $350 to $500 range. Lifemiles will let me do that for 7500 miles each way on United. I think that is a pretty good deal.